NEXT | Know Your Lore: Could Saurfang be the next Warchief? 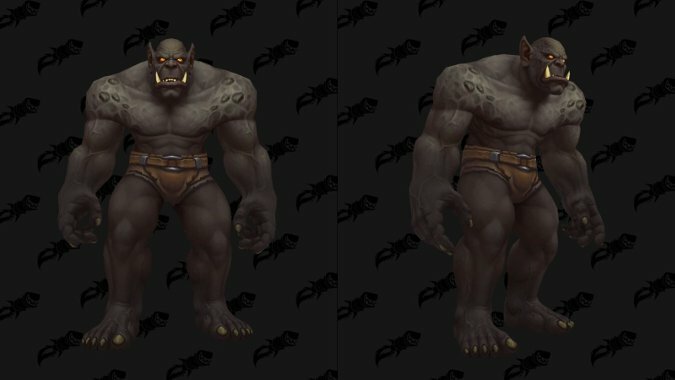 Mag’har Orcs and Dark Iron Dwarves are officially available as Allied Races…if you get access to them, that is. Just like their counterparts released in late Legion, both new Allied Races have some requirements to earning their favor. There are three parts to the process, and it all begins with max level — you’ll need to be level 120 to earn their favor. No getting a jump start! 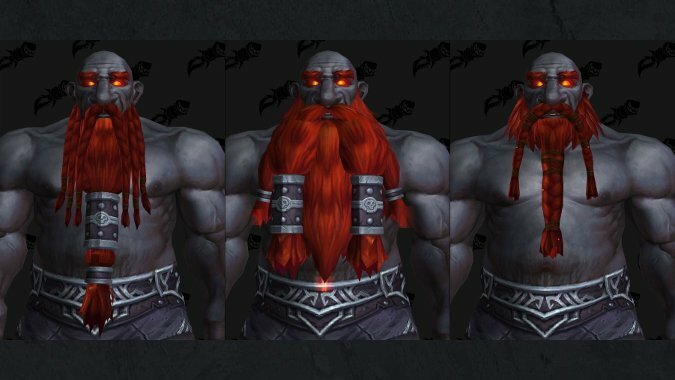 And also just like their Legion-released counterparts, both the Mag’har and the Dark Iron have a reputation grind involved to unlock them. Fortunately, you don’t have to go back to old content to grind it out. The third piece of the puzzle is that you’ll need to complete the War Campaign of your respective faction and earn the Ready for War achievement. The last stage of the War Campaign opens up when you hit Revered with either 7th Legion or The Honorbound. That’s fine, because you’ll be grinding that rep right along anyway — you’re going to need to hit Exalted with either the 7th Legion or The Honorbound to fully unlock those sweet new Allied Races. This isn’t going to be the speediest of processes, but luckily there are several ways to earn all that reputation. World Quests: Once you’ve unlocked them, you can complete World Quests in enemy territory for small amounts of reputation. If you’re Alliance, do World Quests in Zandalar. If you’re Horde, head to Kul Tiras and start knocking those World Quests out. Emissary Quests: Check your map every day for Emissary quests — they can pop for any of the six reputations you have access to. Occasionally, that means you’ll see either 7th Legion or The Honorbound in the mix. Doing four World Quests for the appropriate faction will complete the Emissary requirement, and reward you with a big chunk of reputation in the process. Outpost quests: Once you’ve unlocked your outposts on the other continent, you should see some one-time quests pop up at each of the camps. These offer additional reputation, so you should knock those out when you see them pop up. Mission Table: Ah, the mission table, bane of our existence…and a really good source of rep this expansion. Rewards from missions may vary, but there are a ton out there that offer reputation upon completion, and even more reputation if you earn the bonus while running them. It’s random as far as which factions you’ll see pop up on the table, but if you see 7th Legion or The Honorbound, make those a priority. Island Expeditions: Did you forget about these? Not only are they wildly fun, but you can earn reputation with them as well. Once a week, you’ll get a quest to collect Azerite for your respective faction. Completing that weekly quest will net you another whopping 1,500 reputation. And on top of that, sometimes you’ll pick up Rusted Insignias out there on those distant shores — those will net you another 250 reputation when you turn them in. War Campaign: Certain quests during the War Campaign will reward you with a little more rep along the way. Since you’re going to be completing that campaign to unlock those Allied Races anyway, that little rep boost is pretty much guaranteed. Warfronts: You’ll be able to earn additional reputation through Warfront contributions. They’re a pretty hefty amount of rep if you complete every turn-in, so be sure to check out what each turn-in quests requires. Between all these different sources, what might seem like an onerous task really doesn’t take all that long, although you’re not going to hammer out the rep you need in a single day of gameplay. Note that both factions have plenty of valuable items you can purchase along the way as well — gear, recipes, and a unique pet are all available from the emissary when you unlock the appropriate rep. Also keep in mind that reputation bonuses will help you out as well. Utilizing World Quest bonus events and the Darkmoon Faire while they’re up and active should help speed the process along. This month’s Darkmoon Faire is already underway — be sure to take advantage of it while it’s available! Once you have completed these three steps — max level, Exalted rep, and completion of the War Campaign — you will earn the ability to unlock your Allied Race. To complete the process, you’ll need to finish a scenario for each Allied Race, similar to what we saw with the Nightborne, Highmountain, Void Elves, and Lightforged in Legion. Compared to all that rep grinding, it’s a relatively painless process. And hey, you’ll get a free racial mount out of the bargain while you’re at it! After you’ve unlocked either Allied Race, you can level it to 120 to earn a set of Heritage Armor — or you can boost it if you like, but you won’t earn the Heritage Armor set if you do so. And if you’re looking for a shortcut to earning both reputations, there is a way…but it’ll cost you. You may fork over some real-life cash to swap your character’s faction after unlocking an Allied Race, and that exalted status with The Honorbound will switch to 7th Legion, or vice versa. But you’ll need to complete the entirety of the opposite faction’s War Campaign before you can move on. While this might all seem like a complicated process to get some new character options, it’s not that out of place when you think about it. In order to gain an ally, you need to earn their respect. The more renowned you become, the more likely they are to listen to you — or admire you enough to think that teaming up would be a really good idea. Yes, the process takes a little effort, but also keep in mind this is entirely optional. 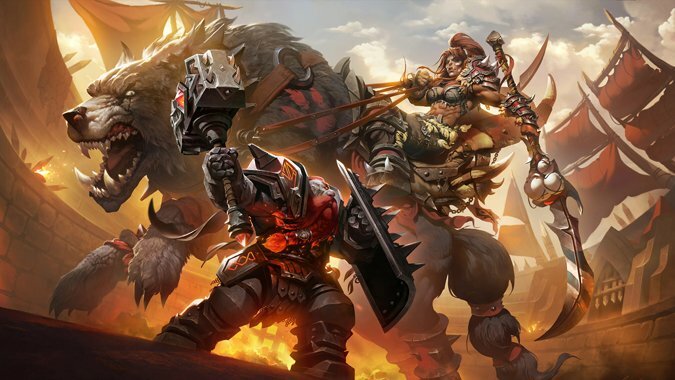 If you aren’t interested in playing a Dark Iron Dwarf or a Mag’har Orc, you can safely ignore this entire process and keep on playing your main. As for other Allied Races…we still don’t have any information as to when we’ll see the Zandalar Trolls or the Kul Tiran Humans available for play. Presumably, we’ll have to wait for a patch before it happens. Until that point, keep completing those World Quests and earning that reputation. Every Allied Race so far has had an Exalted requirement, so making sure you’ve maxed out rep with your factions means it’s one less step you’ll have to take. And who knows? By the time we see the Zandalar or Kul Tirans made available, you may have already unlocked them as allies without even thinking about it.